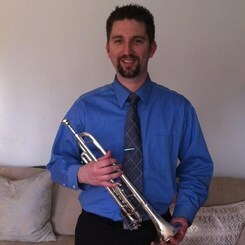 Neil Winkler aims to provide private music lessons of the highest quality to students of all ages. Since graduating The College of New Jersey with his Bachelors in Music Education, he has been teaching for over 10 years and has taught countless students. He believe that a fond love of music can be developed and fine-tuned through weekly private instruction, and seeks to help students realize their full potential. Implementing standard fundamentals and daily practice routines, Mr. Winkler ensures his students receive the most comprehensive instruction possible. Request Lessons with Neil today!